Darlington Throwback: #NASCAR drivers as kids NASCAR Race Mom just loves these looks backwards to the early days of our NASCAR Stars. 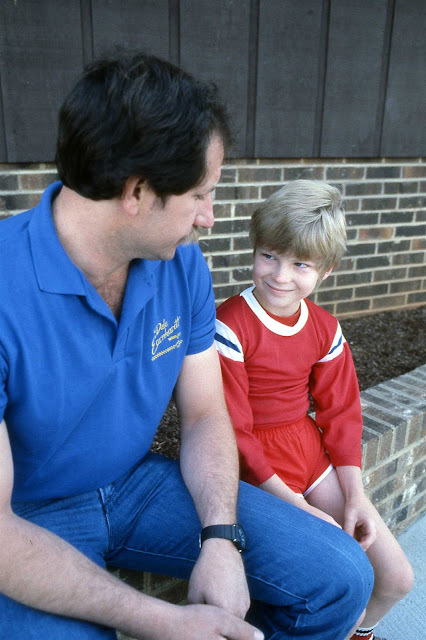 The Dales: Dale Earnhardt Jr. in 1984 with his father Legendary Dale Sr. The Busch Brothers - So very Young! Our Darlington Race Winner - Martin Truex Jr. Soon to be retire Champion Tony Stewart winning in 1980. The Dillions, Ty and Austin with their father. Kyle Larson with his Dad. Rookie Chase Elliott looking up to his dad, Awesome Bill From Dawsonville. Casey Mears being held by dad, Roger. Elliott Sadler whose trophy is almost as tall as he. Can a Bubble Driver Win The Throwback #NASCAR Weekend?